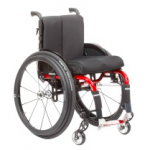 The Avantgarde CS is a folding wheelchair for active use with a large range of options. 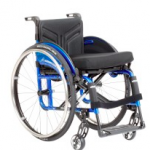 Its closed front frame with integrated footrest is available in various frame angles. Variable and flexible, the Avantgarde CV model offers maximum adjustment possibilities. The broad selection of options provides an optimum configuration – even for high requirements. 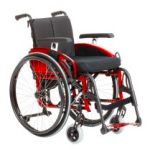 Next to the modular and fully configurable layout that sets the Avantgarde series apart, experienced users can receive the entire rear frame assembly with rear wheel position as one piece. 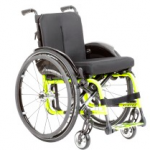 The Motus is an adaptive wheelchair that can be customized to your unique preferences. 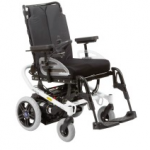 Adjustable on the fly, the swing-away footrests and height-adjustable back allows for more comfortable seating. 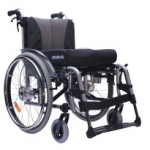 The A200 is the ideal wheelchair for indoors. Thanks to its small overall width and compact design, it fits easily through narrow doors and corridors and is easy to manoeuvre.